How to Choose the Best Golf Push Cart? Why Should You Buy a Golf Push Cart? Can I take my golf cart to my golf course? What engine would be better in a golf cart? Shall I need to pay any more in the future? It is very hard to carry all your golfing gears with you while playing golf, right? That’s where golf push carts strike. They can carry all your golfing gears safely so you don’t need to go through the hassle of carrying anything. In this best golf push carts reviews article, I’m going to talk about fifteen golf push carts that will provide you the most value for your money. This review guide will certainly help you to get the best golf carts within your budget. Golf carts are a small vehicle that can carry golf items on a golf course. They are very important for playing golf. If you are a serious golf player, then chances are that you often think about buying a personal golf cart for yourself. A personal golf cart will not only save your time but it will also save your money in a hundred ways. Golf carts are now used in many places other than a golf course such as airports, colleges, storerooms, farms, etc. People are now also interested in buying personal golf carts because of their efficiency. Before diving into the reviews, let me start by saying that my personal favorite golf push cart is the CaddyTek SuperLite Deluxe Golf Push Cart. I think this one offers the most features at a very low price range. Also, this golf cart is suitable for everyone whether you are an amateur or professional golfer. Now, let’s get into the reviews. This Golf cart from the CaddyTek brand is perfect for driving on any golf course. With increased stability on any terrain, this is a new generation cart for sure. It may seem that the cart is not durable but you’ll be wrong if you think so. Thanks to its aluminum frame, this cart can last for a long time. Despite having four wheels, this golf cart is not heavy at all. It is only fifteen pounds, so it’s extremely portable. The folding/unfolding system makes the vehicle extremely compact and flexible to use. The one-click button is used to fold the cart. You’ll need to push the brake with the foot to stop the vehicle and a second push will release the brake. Two rear and two front wheels ensure perfect balancing so you can drive the golf push cart on any kind of surface. There is a built-in patented basket with cooler and an umbrella holder with the cart. Also, the included storage rack is very effectual to use. The cart is very lightweight and portable. Has more stability and balancing ability than three-wheel carts. You can ride on any rough terrain. The tires don’t need special maintenance. The brake system is controlled by foot. It would be more convenient to have a hand-brake system. In the price range, this four-wheel cart will be an ideal option whether you are a newbie or professional golfer. For anybody needing a stable and long-lasting golf cart at a reasonable price range, can try out CaddyTek Golf Push Cart confidently. Check out the latest price here. The next Golf cart we would like to talk about is from the Bag Boy brand. It’s the first ever four-wheeled pushcart from this company. Quad is very easy to unfold like most other traditional golf push carts manufactured by the Bag Boy. The storage pouch that is included can easily carry various gears for golfing. The one thing that users love most about this golf push cart is its durability and longevity. Even after rough use, this golf push cart can serve you for a long time. Also, the cart needs very little maintenance. The adjustable support arms lock feature is available in this golf cart to make sure that the golf bag stays in place all the time. There is also a mobile device holder that safely holds your smartphone when you are playing on the course. The rear wheels are larger than the front ones which make the cart roll easily on the grass surface. This cart is also easy to push on rough surfaces as the wheels are very well designed. The storage system is super compact and moving around is also very comfortable as the cart is extremely lightweight and easy to handle. Thanks to the smooth wheels, pushing around this cart is easy and fun. The folding/unfolding is quite easy. The straps secure the bag firmly and also they are finely adjustable. The large storage compartment can hold extra stuff for golfing. The ball holder can store three balls at a time. The brake system is very reliable. Once folded, the cart seems very bulky. This Golf Cart doesn’t offer much big highlighted features to excite you. But as a whole, it definitely offers all the essential features that a decent golf push cart should have. If you are looking for simplicity, then this golf push cart is definitely for you. Click here if you want to know more about this golf cart. The third pushcart in our best golf push pull carts reviews article is from the Clicgear brand called The Rovic RV1S. This is a compact cart that easily folds and moves swiftly through on terrain. The S in the RV1S stands for swivel. The front wheel is designed to spin which makes it easier to push the cart and provides a better experience. The brake system is foot brake type which means it needs to be stopped with the push of your foot. The cart is a very lightweight and at the same time extremely durable. There’s no need to worry about a replacement since it has a record of lasting for a long time. The foot brake system enables the user to control the cart easily. The extra storage is great for holding all types of gears that every golfer needs to carry. The cart also includes two accessory tabs for better usability. There is a cup holding frame that can hold your coffee or beverage. The umbrella clip and holder is also a great addition to this golf push cart. The cart is available in four colors so you can choose the one that matches with your style. Your gears won’t get misplaced since they can be easily stored in the storage box. The cart is made of high-grade aluminum which is very robust. During rainy climates, you can carry your umbrella with the umbrella clip and holder. The fast button makes folding/unfolding much quicker. The foot brake system is not very reliable. This golf push cart model from the Clicgear brand is comparably less expensive than most other carts on the market. So if you are looking for a cheap yet decent golf cart, then you can definitely give this golf push cart a shot. To check out the latest price, click here. The Clicgear brand has produced some really good golf push carts in the recent years. The 3.5+ model is a minor update of the version 3. There’s not much difference in the features they both offer. However, some of the features are upgraded in the 3.5+ model. Both of the models are appreciated by users all over the world. This eighteen-pound heavy golf push cart can be folded easily. It not only looks good, it also has a solid body which makes it one of the most durable golf carts on the market. The brake mechanism is enhanced and highly reliable. The cart comes with a big storage net. You’ll also get a cup holder, an umbrella holder, and a strap system with this golf push cart. The good news is, this model unlike the previous one, comes in eight different and beautiful color shades. So if you are fashion conscious, this cart will be a great choice for you. The four accessory tabs are really useful to hold different golfing accessories comfortably. The wheels are designed perfectly for moving the golf push cart swiftly. Do you wanna more about Clicgear 3.5+ Pushcart?? Then Click Here. Very lightweight golf push cart. You can even store heavy stuff in the storage box. The four accessory tabs increase efficiency. Once folded, the cart turns into a weird shape which doesn’t seem nice. If you are looking for a compact and robust golf push cart, then I’ll obviously recommend Clicgear Model 3.5+. This spacious cart has no major drawbacks that will stop you from getting it. It is indeed one of the best golf caddy on the market to own in such a low price range. For more details, click here. This is another awesome golf push cart from the brand Clicgear. This is the third golf push cart from Clicgear that we had to include in our best walking golf push pull carts reviews article. It has an improved design than the previous carts we talked about. This golf cart comes with a patented “slide-to-close” feature that makes the folding process very smooth. So it doesn’t require much effort to start the cart. The cart can be folded to 15” x 17” x 27”. There is a dual front wheel brake system available in this golf cart. As a result, the braking system is much more updated in this model. The extra wide and large wheelbase makes the golf cart much more stable and balanced. The unique alignment of the front wheels allows for smooth movement of the golf cart. The aluminum tubing makes the frame sturdy, so the cart is strong enough to carry heavy gears. Also, it is highly recommended by the users for its long durability. The tires do not need any extra maintenance. Moreover, they are airless which ensures more convenience. You’ll also get an umbrella holder along with 2 cup holders with the Clicgear Model 8 golf push cart. A very stable and balanced cart. Operating this golf cart is super easy and straightforward. The appearance is more appealing than most other push carts. Carrying heavy gears won’t be a problem with this cart. Clicgear Model 8 golf push cart provides higher functionality than most other golf carts on the market. Handling and using this cart is super easy which makes it ideal for newbies. If you are looking for a beginner-friendly golf push cart, then try this one without any doubt. To check the latest price in Amazon, click here. Pinemeadow courier wheel golf cart is not only affordable but also made of high-quality materials. Heavy duty aluminum is used to make the frame of this golf push cart. So this golf cart is extremely tough and can be used roughly for many years. The operating process and usability are very simple and straightforward. The two-step folding design makes the cart very flexible and compact. This golf cart moves very smoothly on grass and directing it in different directions requires no effort. This is because the integrated handle angle is highly adjustable. To prevent slippage, this golf push cart comes with tires that are the snit-skid type. Once you are finished using the cart, you can detach the front wheels and store them. The nylon bag straps are a useful addition to this golf cart. You’ll also get a waterproof scorecard holder and a ball holder. Pinemeadow courier wheel golf cart can carry heavy gears safely while you are trailing around the golf course. All in all, this golf push cart seems pretty awesome, right? Pushing and Pulling is easy. The straps keep the bag safely attached. The wheels can easily get loosened. So, you may need to tighten them often. This golf push cart is perfect for golfers who just started golfing and needs to buy something that doesn’t get too heavy on the wallet. This is a cheap golf push cart that provides all the basic features of a decent golf cart. So there’s no reason to not give this cart a try! Click here to know more about this golf push cart in Amazon. The next golf cart in our best folding golf push cart reviews article is a navigator pushcart from Golf Gifts & Gallery. If you are looking for an expensive cart that doesn’t compromise with its quality, then this one is for you. This three-wheel push cart does hefty tasks smoothly. It promises the users to provide them with a great user experience. It is a black, simple looking golf push cart that would suit most people’s preference. The pushcart shuts and opens at a single touch. You don’t have to struggle with the cart while pushing it. You can easily carry it with yourself in the back of your car. There is a waterproof storage that holds and protects your golfing gear from rainwater. The handle is comfortable and huge. Also, it’s adjustable which makes pushing the cart easier. Moreover, it has a cup holder that will hold your coffee and drinks while you keep practicing. The wheel of this navigator carts is wide enough to navigate through uneven surfaces without any trouble. However, the most favorite feature of mine is surely the brake system that comes with this golf push cart. Thanks to the amazing brake system, parking on flat and steeper lands are safe and secure with this cart. Opens and closes easily without any hassle. Highly portable and easy to store. A durable cart that lasts for many years. A useful cup holder is included. The weight isn’t balanced properly. This push cart is a combination of elegance and quality. If the price fits your budget, there’s absolutely no reason to not go for this push cart. Click here to check the latest price on Amazon. The next golf push cart that we are going to review is from the CaddyTek brand. It’s the Superlite Explorer model which is a four-wheel golf push cart. This is a modern cart that can move smoothly on any golf course. The design of this golf cart is unique and there is a stretch band that fits any golf cart bag tightly. The pushcart is made of aluminum, so it’s very durable and lasts for a long time. The wheel doesn’t need any maintenance and the alignment system on the front wheels makes moving the cart unbelievably easy. There is a foot brake and also a scorecard holder space. You’ll also get a bottle holder and an umbrella holder with this golf push cart. This push cart has a very straightforward folding/unfolding system which takes only seconds. The patented two latched system allows the trolley to be folded into a compact size in just two simple steps. This four-wheel golf push cart can run smoothly on different types of terrain. There is also an adjustable and padded handle that makes pushing in different directions comfortable. The golf push cart is lightweight and only weights fourteen pounds. This makes it easy to move and carry. Needs two simple steps to be folded. The stretch band can fit various sizes of golf bags. The two segments of the handle make it little complicated to use. CaddyTek Superlite is a perfect golf push cart for golfers who prefer walking. This is a top-notch cart that will surely serve you for many years. Click here to know more details on Amazon. This is another golf push cart from the CaddyTek brand. The CaddyTek EZ-Fold 3 is hands down one of the best 3-wheel golf push carts available on the market. This three-wheel golf push cart is renowned for its durability and ease of style. As the name suggests, this cart is easily foldable. It is a great push cart that offers highly functional features at a cost-effective price. The ergonomically designed handles are very comfortable to hold. Moreover, the handle is adjustable which is awesome for people of any height. There is a foot brake that is easily push-able which stops the cart immediately. This awesome 3-wheel push cart moves naturally on any type of surface. Also, the wheels don’t require much maintenance. The back wheels can be detached and the front ones are adjustable. Furthermore, the front wheel tube is strong and can endure huge weight. You’ll get a cooler, an umbrella, a beverage holder, and a scorecard holder with this golf push cart. Extremely portable and light push cart. The most natural folding-unfolding technology. It is relatively less expensive than most other golf carts with same features. The aluminum construction makes the cart last for a long time. Doesn’t come with any locking mechanism. CaddyTek EZ-Fold 3 has a master class design and functionality that makes this golf cart a perfect choice for any golfer. Both beginners and experts will certainly love to own this. Click here to know the latest price on Amazon. CaddyTek Superlite Deluxe is probably my most favorite golf push cart for a bunch of reasons. This SuperLite Deluxe model is a three-wheel push cart. This model is light as a feather and that’s why it is called SuperLite. This golf push cart comes in three colors and they are all a visual treat in design. The pushcart has a minimalistic, simple yet elegant design that appeals to most golfers. The three wheels of this cart are well designed to make pushing through any terrain a pleasing experience. The back wheels are 11 inches and the front wheels are 8 inches in size. The wheels are airless, so it doesn’t require much maintenance. You’ll not need to deal with any deflation or inflation problem with this cart. There is a bracket to store bags and a strap that expands to secure the bag in place. Also, it includes a mesh net, a drink holder and an umbrella holder. The knob of the umbrella holder lets you tighten or loosen the hold. This small yet robust push cart is tremendously light and compact making it very comfortable to push and pull. Furthermore, this golf push cart is highly portable and can be carried very easily. You can also read detailed feature of CaddyTek SuperLite Deluxe Golf Push Cart Here. The position of the drink holder is a bit inconvenient. CaddyTek Superlite Deluxe is a complete package that delivers the best features in a convenient price range. If you would like to know more about this golf push cart, click here. The Express DLX from the Bag Boy is the next golf push cart that we would like to include in our best 3 wheel golf push carts reviews article. Most of the golfers will love this 3-wheel golf cart since it requires very less energy to push and pull. Like the other pushcarts, this one is also a lightweight push cart that makes the moving process very smooth. The sturdy frame ensures that the cart can hold heavy weight comfortably. The push braking system is reliable. There is an adjustable handle offering four height options. The handle pushes and pulls the cart without making you feel tired. This golf cart uses the quick-release technology. So, there is no need for carrying any screwdriver with you anymore to adjust height. There is an integrated smartphone holder to carry your smartphones securely. The angle of the holder is in a position that makes reading emails and messages quite comfortable. While pushing through any terrain, no golfer would want the hassle of carrying the golf bag. The Bag Boy Express DLX Push Cart includes storage to hold bags, various accessories like a scorecard and balls. The most important feature is the two-step easy folding option. This makes the cart easy and compact to carry in the trunk of your car. The wheels are strong and sturdy that allows free moving even through an uneven environment. The instructions are easy and clear. The included mesh bag can hold tiny things easily. The cart is lightweight yet strong. The TOP-LOK technology is an expedient feature. The scorecard holder is a good option for solo games. The brakes work amazingly on any terrain. There’s no swivel in the front wheel. The Bag Boy Express DLX Push Cart offers a drink holder to cool you in the hot weather and an umbrella holder to protect you from raindrops. With hundreds of beneficial features and a few setbacks, this one is definitely a worthy buy whether you are an amateur or professional golfer. Click here to know more details about this golf push cart. Spin It Golf Push Cart has a perfect blend of feature and class. The first thing about this golf push cart is it looks ah-mazing. The whole black body with red interior on the tires makes it look elegant. It goes easier on your back since it’s a three-wheel golf cart. This golf cart has a super convenient folding capability. The front wheel is smaller than the two back wheels. This design enables swivel and so, moving forward is effortlessly simple. The airless wheels are maintenance free and can endure heavyweight. No deflating of wheels will ever take place. It offers a scorecard holder along with holders for umbrella, cups or bottles. There is a huge storage for holding golf bags. The brackets keep the bag safe and secure and the bungee cords can stretch to store them more conveniently. The cart weighs only 16 pounds but it can carry heavy bags and accessories without any trouble. It is a travel-friendly push cart that is highly portable. You’ll be able to carry it in the back of your car or even in your hands comfortably. Easy to assemble and the instruction manual is clear to follow. The tires are airless and maintenance free. The front wheel is fixed, so you’ll have to lift it up when you need to make sharp corners. This is a simple and lightweight golf push cart that will serve you for a long time. To check out the latest price on Amazon, click here. Moving to the next cart in our best golf carts reviews article, it’s too from the Spin It Brand called GCPro II. Like the previous one, this push cart model is also designed with three wheels. One is on the front and the other two are at the back. This 3-wheel design makes this golf push cart very stable. The airless wheels won’t puncture easily and also they are maintenance free. For easier storage and portability, the push cart is easily foldable. It needs only a few seconds to unfold the cart once you are ready to push it. After the game, simply push the button again to fold it back. It is as simple as that! Like most other popular brands, this push cart also comes with a strong frame that is made of aluminum. This heavy-duty frame doesn’t make the cart heavy, so pushing it is smooth and comfortable. The adjustable handle has a rubber coating to ensure a better grip. The brake is at the bottom of the cart and only needs a push of the feet to operate. There is also an umbrella holder, space compartment and a scorecard holder that completes its functionality. The GCPro II from Spin It brand is undoubtedly a decent golf push cart that comes with all the necessary features and functionalities. It has a few drawbacks but none of them is a deal breaker. To know more details about this golf push cart on Amazon, click here. The next golf cart we would like to include in our best push pull golf trolley reviews article is the JEF World of Golf cart. This is a cheap, lightweight golf push cart that is ideal for any type of golf course. It is designed in a way that ensures minimal hassle. This portable golf push cart can be folded/unfolded within a blink of an eye. The push cart is made of heavy-grade steel which is definitely very robust. The strong frame ensures higher longevity of the cart. Also, it makes maneuverability and moving easy. The scorecard holder that comes along with this cart is waterproof. Also, it has a contoured bottom area that has enough space for keeping huge bags. The adjustable straps hold the bags safely. The wide wheels let you move through rough grounds easily. This push cart can be used in dirt areas and also in sandy places. It weighs only eight pounds. Besides, the price range is within the reach of most golfers. Needs minimal effort to push and pull. Foldable and fits into a suitcase. Easy assembly and has a clip-on mechanism that makes it more convenient. A balanced and easy to use push cart. There is no braking mechanism available. The height cannot be adjusted. I agree, this push cart surely has some downfalls but in this price range that is quite expected. This golf push cart is simply awesome for beginners. To check the latest price on Amazon, click here. The last pushcart in our best golf cart reviews article is from the brand Qwik. It’s a lightweight push cart that looks like it’s made of cotton buds. It moves like a champion on any ground. Also, this golf push cart is extremely good looking. You can choose this push cart from four different colors. The color schemes are pretty gorgeous. The cart is only thirty inches in length when you fold it. This makes it easier to carry in small cars. The folding mechanism is also impressive. You’ll only need to push one button to fold it. The frame is made of lightweight aluminum which makes the cart only fifteen lbs. even with all the attachments on. It’s a tough and long-lasting golf push cart that any professional golfer would absolutely love to have. Moreover, the price range is within reach for most people. The handle can be adjusted to different heights. The construction material is tough yet lightweight. ‘One push button’ makes folding/unfolding super simple. Moves effortlessly on most of the terrains. Ensures smooth ride with ball bearing wheels. A compact and portable golf push cart. The wheels on the front don’t support swivel. This well-designed golf push cart is highly appraisable for its amazing features and usability. To know more about Qwik-Fold 3 golf push cart, click here. A golf course is not smooth all the way. Sometimes they are hilly. Make sure the cart has a reliable braking system so that when you are going through uneven grounds, the golf cart can stop if necessary. The cart needs to be comfortable. Make sure it comes with adjustable handles that will ensure a cozy experience for people of any height. A good cart will come with various types of holders for storing the necessary gears of a golfer. Some examples are ball holders, glove holders, scorecard holder and so on. A golf push cart with different types of holders will ensure that you can take all the gears with you for playing the game comfortably. You must go for a golf push cart that can be easily folded. So that as soon as you are finished playing, you can put it in the back of your car. A good golf push cart doesn’t require much space for storage. The most significant factor that you must keep in mind is the weight. The more lightweight a cart is, the easier it would be to push. As a result, with lightweight carts, you won’t need to use much energy to push them. Generally, lighter and sturdier golf push carts are made of aluminum. A mesh net helps to carry tiny gears easily without the risk of losing them. So, if the push cart comes with a mesh net, it is a very good sign. A good golf push cart will come with a warranty. The warranty shows that the manufacturers are confident about their product. So, before buying the cart, check if it comes with any warranty. After checking our best golf push carts reviews, you would know that the cost of buying a new golf cart would run from $5,000 – $10,000 or so. It all depends on what features you want on the golf cart. And obviously, the more features you want, the pricier the golf cart would be. If you’re very economical and remove all but the bare basics, you might be able to buy a new golf cart for less than $5,000. On the other hand, for used golf push carts, the price range can vary widely depending on the model, accessories, and state or shape that the golf cart is in. Golf carts that are only a few months old can cost about a few thousand dollars. However, if the golf cart is more than a year old, you should take the smart move to consult with a reliable, trusted golf cart mechanic who can inspect the cart before you actually make the final decision. Portability is a major feature of a good golf push cart. Most renowned brands try to make their golf carts as much portable as possible. Higher portability makes a golf cart easy to move, push and store. Of all of the golf carts, the remote electric cart is considered the easiest to use. With a remote electric cart, there is no need to push the cart manually with your hands. You’ll only need to point and click. Then the cart will carry your gears to the next hole. There are many renowned brands that manufacture high-quality remote electric carts. Electrical carts are specifically helpful if you are someone who plays golf seasonally. Also, if you don’t have the energy to push a golf cart manually through the golf course, then an electric cart will be perfect for you. Push carts are also very famous. These golf carts feature wheels that can run through all types of terrain. Golf push carts are less costly than electric carts. If you go for this type of cart, you’ll be able to save a fair amount of money. However, you’ll have to push the cart manually with your hands. Push carts are more suitable for young or middle-aged golfers. Well, the first reason is, if you have a push cart, then you will not need an assistant following you everywhere you go. This is an extra bonus for golfers who never get used to caddies shadowing after them. 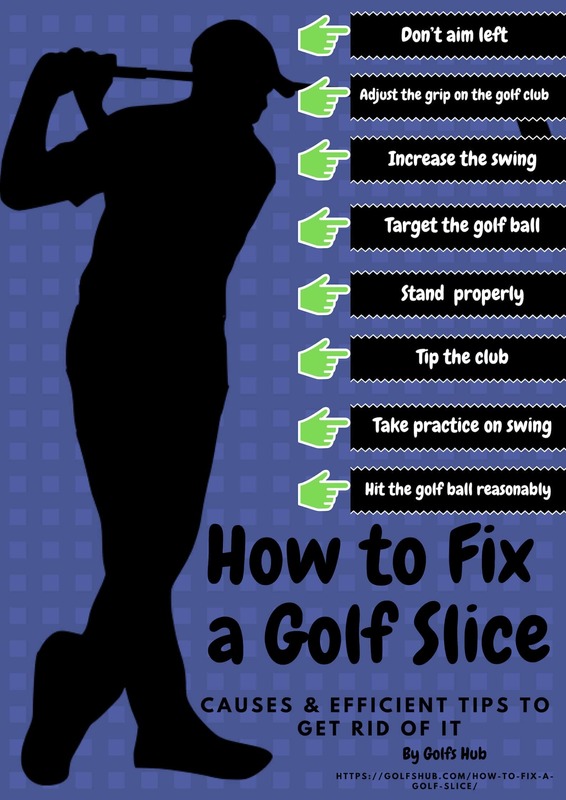 As you won’t be needing a caddie, there is no need to worry over broken or lost golf equipment. You’ll save a ton of money because there is no need to pay for a caddie. As long as you do not have a problem with pushing the cart yourself, it will be a great way to enhance your golfing experience. With a golf push cart, moving across the golf course will be much faster and quicker. As golf push carts come with different types of holders, all your golfing gears will be organized. You’ll be able to find suitable clubs and balls easily. Also, you’ll not have to carry the gears on your shoulders or hands which can slow you down. You will undeniably play much better when everything is organized and within reach. Keep in mind that, constantly worrying about your gears can ruin your focus, especially when you do not have an assistant to help you out. The golf push cart will save you a lot of energy. Golfing is an exclusive game where you’ll need different types of clubs and balls depending on situations. If you have to carry all the required equipment yourself, then it will quickly drain all your energy. However, when you have a push cart, you’ll be able to reduce the load. This will save your energy and enhance your focus. A golf push cart will provide you with a classy look and appearance. Frankly, without a golf push cart, your appearance won’t be complete. This will set you apart you from the amateurs. The cart will simply make you look like a very thoughtful golfer even when you are only playing for pleasure. Answer: It depends on your golf course. You should first look at the rules and regulations of the golf course where you would like to play. You’ll be surprised to know that golf carts are not legal in a few countries. Also, for certain countries, accessories like headlights, seat belts, and windshields are legal, but for golf carts having these are illegal. So, check with your golf course before doing anything. Answer: If you go for a cart that runs on electricity, then you would only need to check the water supply in the battery to make sure it is sufficient. However, if you do not want to spend five hundred dollars after a few years to replace the battery, go for the one that runs on fuel. Answer: You may only need to pay for the maintenance cost. To sustain the functionality of your golf cart, you’ll need to do some maintenance work like changing the spark plugs and air filters, making regular oil alterations etc. You can either do these on your own or pay a professional to do it for you. Buying a golf push cart is a smart way to save both labor and money. You may find hundreds of golf push carts on the market but all of them are not decent. That’s why, in this best golf push carts reviews article, I have tried to put all the information that you’ll need to buy a decent golf push cart. In this article, I have talked about 15 best golf push carts that are currently dominating the market. It was quite tough for me to design this list. 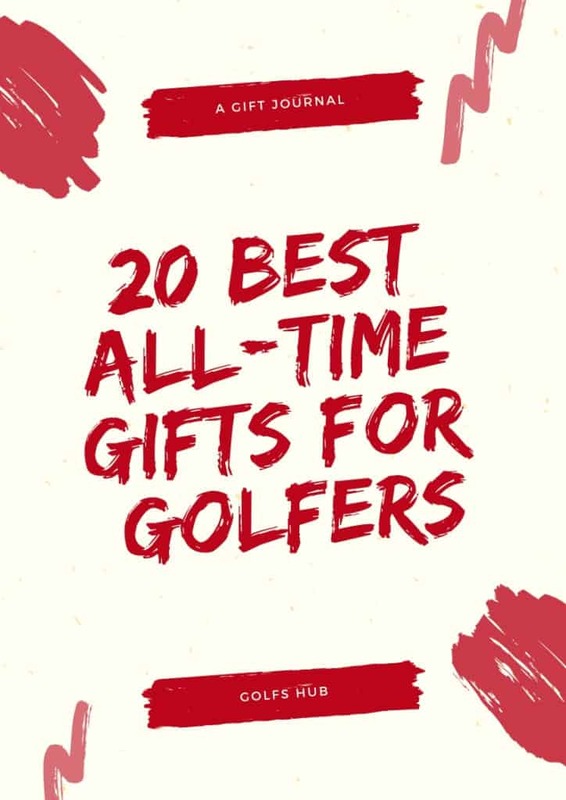 However, I can confidently say that each of golf push cart in this list can potentially serve you for a very long time. Looks like we have reached the end of our guide. Before ending, I would like to add that golf carts can be an extremely adaptable and multipurpose vehicle. Whether you’re playing golf or enjoying a weekend on the ranch, a golf cart can come in handy to you in many ways. So, it is very important that you invest your money in a decent golf push cart.